When planning a vacation, it’s important pick the right place. You don’t want to end up in a disappointing destination that lacks stellar selfie backdrops, super interesting historical sites, fantastic cuisine, or breathtaking landscapes. You have a limited amount of time and money in this world, and it’s vital that you make the most of it. 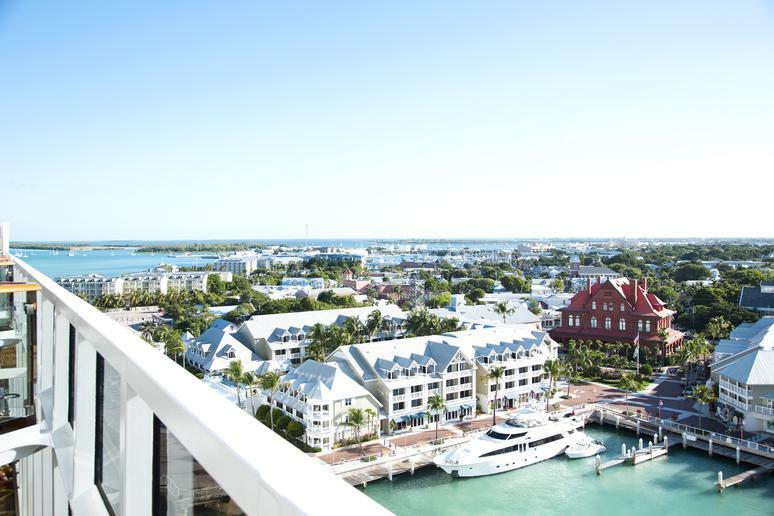 Throughout the United States and around the world, you’ll find islands, cities, and entire countries that are definitely worth a trip. Some are worth checking out for their beaches whereas others are world-renowned for their nightlife, yet all offer a unique look at the local culture, traditions, sites, cuisine, and people that can only enhance your knowledge, world view, and Instagram feed. Visit a famous landmark, try a new dish, or marvel at artifacts in a museum; no matter what you’re looking to do, you’ll definitely find something that will make for a memorable trip in these 25 places to see before you die. 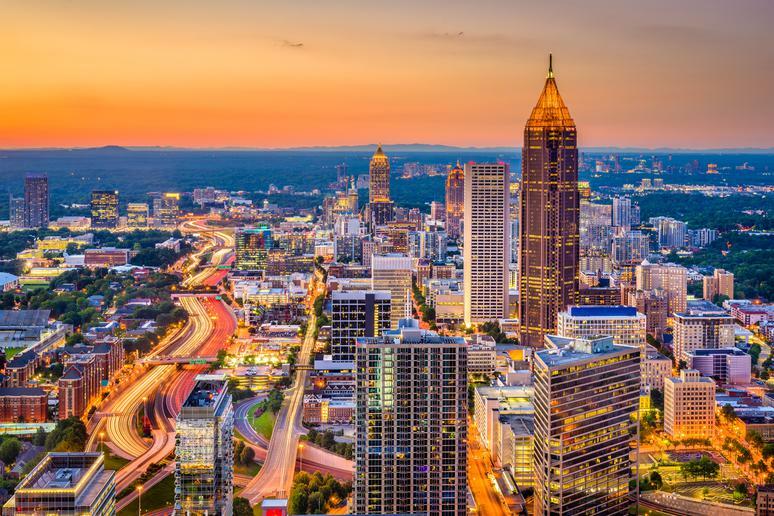 Home to the busiest airport in the world, Atlanta isn’t hard to reach. Once you do get there, there’s plenty to do in terms of food and fun. The world’s favorite soda has its headquarters here, and a tour of the World of Coca-Cola provides sweet insight as well as samples. Visitors can also visit the world’s largest aquarium by volume of water, take a tour of CNN’s studio headquarters, or visit the largest dinosaur ever excavated at the Fernbank Natural History Museum. You can pay tribute to the civil rights movement here as well, as the Martin Luther King Jr. National Historic Site gives visitors the opportunity to visit the civil rights leader’s birthplace home, church, and grave site, along with a museum and memorial dedicated in his honor. The city’s role in the civil rights movement is memorialized in the National Center for Civil and Human Rights. The Civil War gets a tribute in one of the world’s largest oil paintings, the Atlanta Cyclorama, a cylindrical panoramic of the Battle of Atlanta, and the largest collection of Civil War memorabilia resides at the nearby Atlanta History Center, as well. 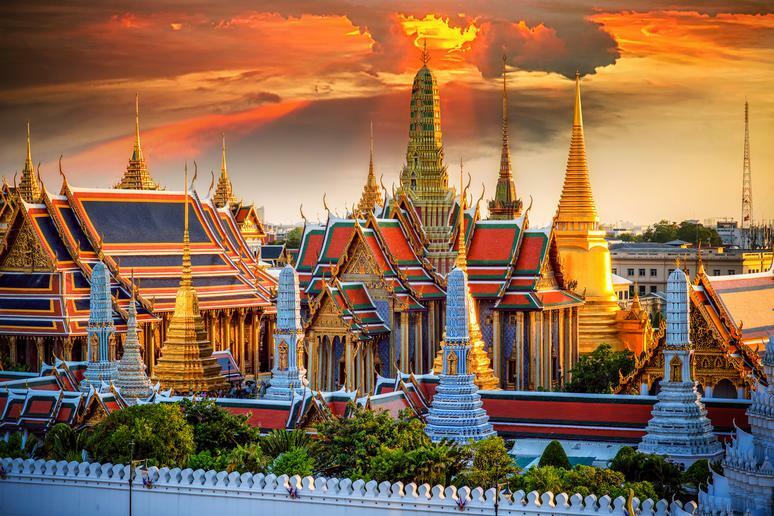 Thailand has some of the best cuisine, palaces, massage spas, and cultural performances, and you can get all of that right in its capital, Bangkok. 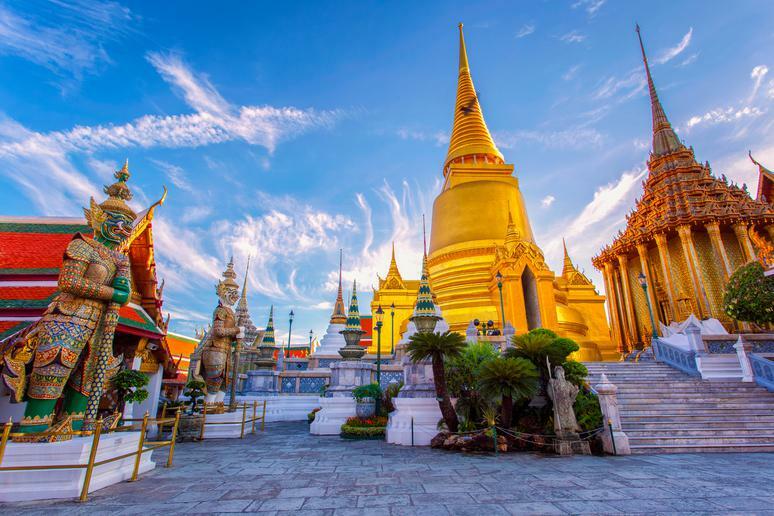 Go on one of the city’s many bicycle or tuk tuk (Thailand’s version of the rickshaw) tours or take lessons in Muay Thai for a more physical experience. Berlin’s 175 museums reflect the rich history of the city (and its country). The art scene is also phenomenal, and Berlin has plenty of galleries for you to peruse. 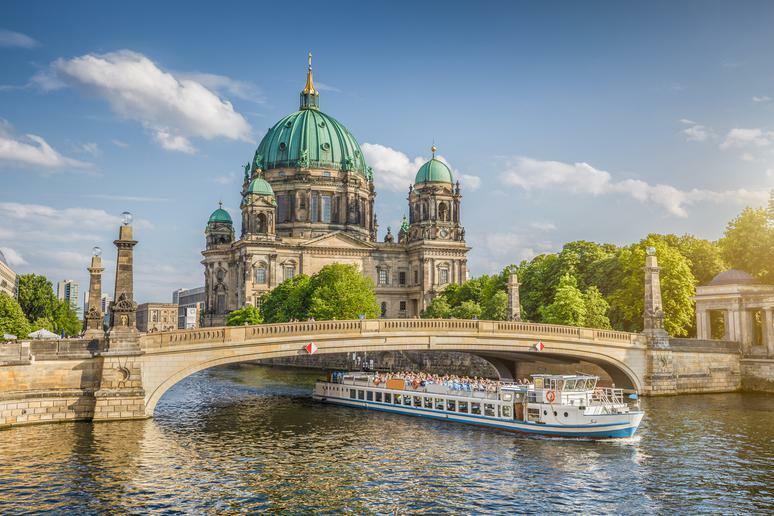 Of course, you’d be remiss to not visit the remnants of the Berlin Wall or the iconic Brandenburg Gate — but only after you’ve had a taste of the city’s currywurst (there are vegetarian versions too!). 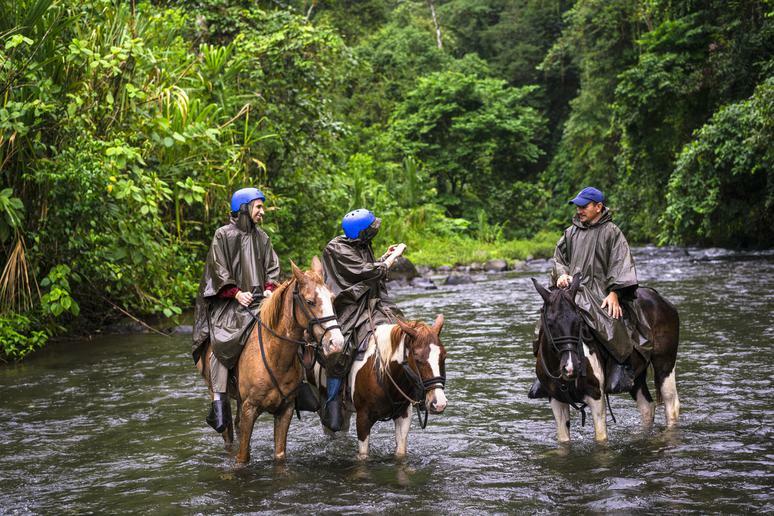 The renowned biodiversity of Costa Rica is not only an ecology geek’s dream, but it also makes for a beautiful destination. The country’s national parks and protected areas cover over 23 percent of its land, which accounts for only 0.03 percent of Earth’s landmass but approximately 5 percent of its biodiversity. Tickets to get there are cheap, and once you are there, public transportation is super-affordable as well. Costa Rica provides an entire array of accommodations to fit any budget, from hotels to the less expensive condos, hostels, vacation rentals, and cabinas. Food is cheap, too; you can easily get a good local meal for under $5. 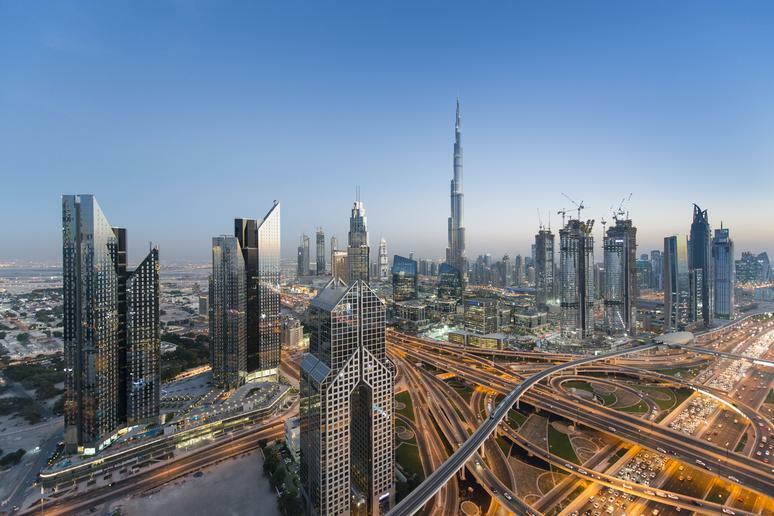 There’s a reason Dubai has consistently stayed a top destination in the past decade. There are plenty of interesting things to do in Dubai, one of the world’s best shopping destinations as well as a great place to watch camel races or go dune-bashing. In addition to its luxury and opulence, it’s also one of the safest cities in the world, so you know you won’t have too much excitement. 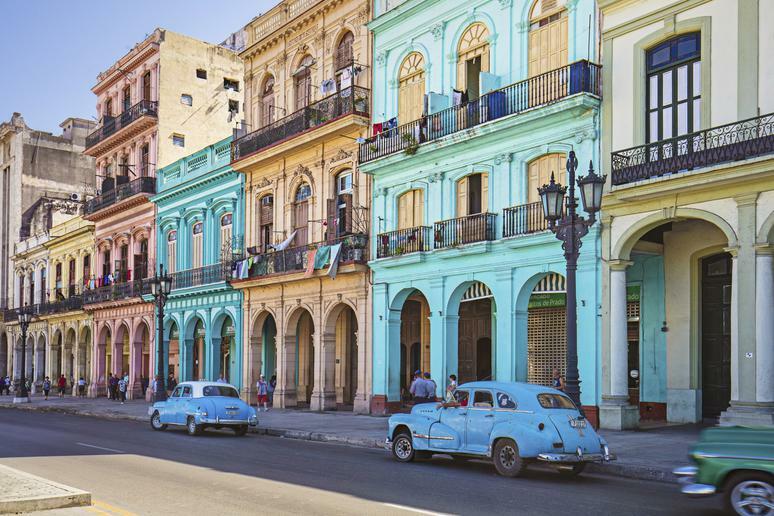 Havana is just one of many reasons you need to visit Cuba the moment you can in case travel becomes more restricted again. The capital city is a great place to learn about Cuba’s fascinating history, and you can also visit a factory for its famous cigars, try the country’s famous coffee, or visit its wonderful beaches and bumping nightlife. Catch some great live music and make sure you eat some of Cuba’s delicious cuisine. 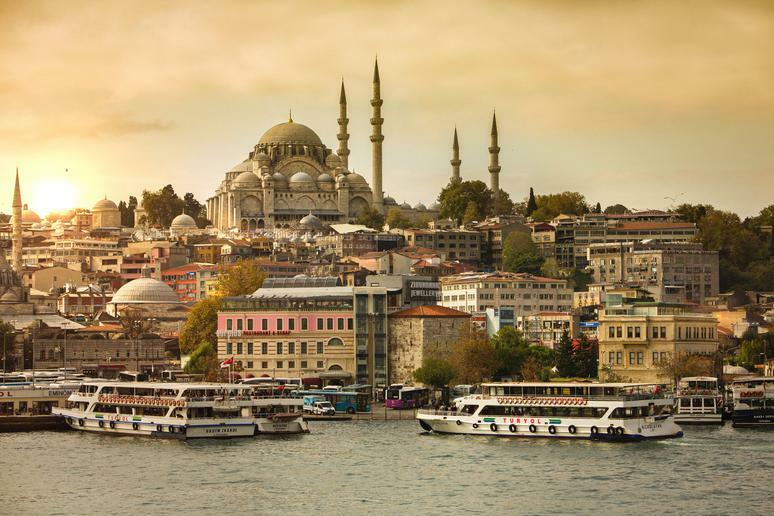 Istanbul may not be the official capital of Turkey, but it’s definitely the cultural one. Delicious Turkish kebabs and teas await you, as well as gorgeous handcrafted jewelry and ceramics at the Grand Bazaar. Istanbul also has some of the most gorgeous mosques in the world, most notably the Hagia Sophia and the iconic Blue Mosque. Make sure you also stop by the Topkapı Palace, which houses relics that are said to have belonged to several figures important to the Abrahamic religions, including Abraham, Moses, and David among others. While we do advise caution when traveling the Middle East, that doesn’t mean travel is completely inadvisable in the region as a whole. Jordan, in particular, remains a stable nation with much to offer in the way of history and activity. 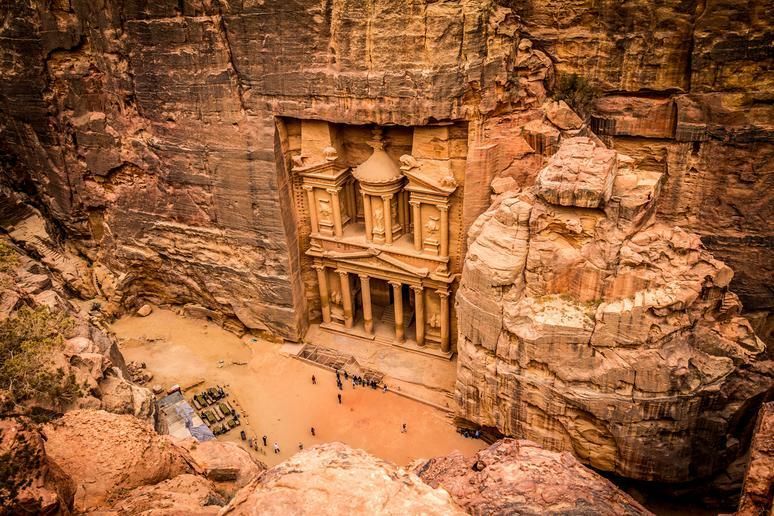 The historical city of Petra, possibly established as early as the fourth century BC, is a site to marvel at with its gorgeous, rock-cut architecture and impressive water conduit system. Jordan is also home to both the Dead Sea and Red Sea, as well as Wadi Rum, an impressive, Martian-like red desert, and many Bedouin camps where you can experience true native Jordanian cuisine and culture. Hiking enthusiasts will love the new Jordan Trail, a route that runs 400 miles from north to south and takes you through most of these sites as well as some of Jordan’s most breathtaking nature. Lovers of religious history will revel in it too — Moses, Jesus, and Mohammed all supposedly walked this trail too. Legalized gambling put Las Vegas on the map as a tourist destination in the 1930s, and its popularity has never died down. 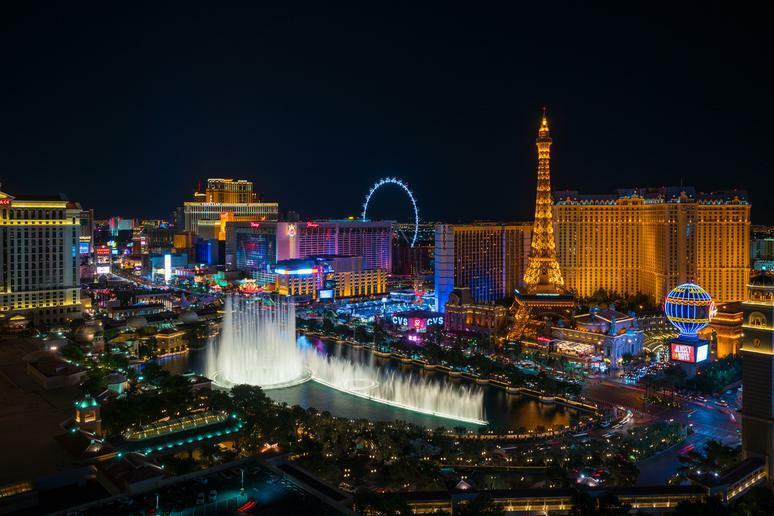 While you could definitely spend an entire weekend trying your luck at the city’s many impressive casinos, Las Vegas is so much more than “Sin City.” You can eat your money away instead of gambling it, or you can drive a race car on an actual race track, go indoor skydiving, or learn some risqué moves from local exotic dancers. The Adventuredome at Circus Circus is the country’s largest theme park, and the city also has a huge aquarium, an impressive classic car showroom in the form of the Auto Collections, multiple gardens, and museums dedicated to art, neon signs, and even the mob. 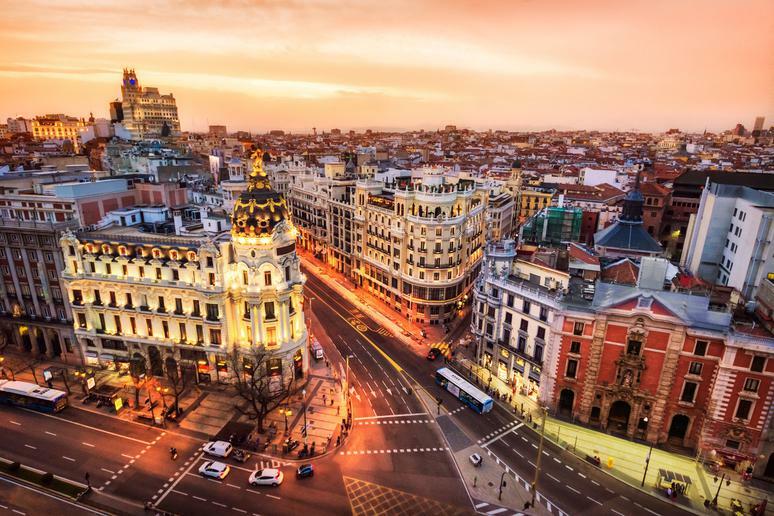 A trip to Spain definitely has to include a trip to its capital; Madrid is known for its architecture and, of course, its Spanish cuisine. Visit the Palacio Real, or Royal Palace, the official residence of the king, or catch a flamenco show for some amazing Spanish history and culture. New York City has five boroughs, but the most famous and iconic is Manhattan. While a weekend is a good amount of time to spend in Manhattan, visitors will also find themselves feeling it’s not enough. 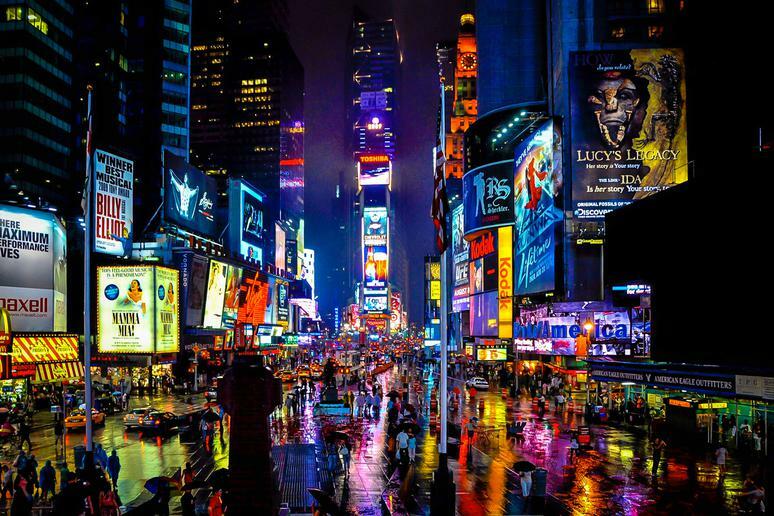 Broadway is the world’s leading theater district, while Wall Street makes this city the financial capital of the world. The borough centers itself around the iconic Central Park, which should be on your bucket list along with other world-famous landmarks such as One World Trade Center, the Empire State Building, the New York Public Library, Grand Central Terminal, the Chrysler Building, Rockefeller Center, and United Nations Headquarters. Times Square is usually the first stop for most tourists, but other must-sees are neighborhoods such as Harlem, Greenwich Village, the Upper East Side, Chinatown, and SoHo. Manhattan is brimming with museums, but we recommend you do your best to take a trip to the Metropolitan Museum of Art, the Guggenheim Museum, the American Museum of Natural History, and the Museum of Modern Art, also known as the MoMa. Morocco is a seriously hot destination — figuratively, as well as literally. Offering the best of Middle Eastern beauty in terms of architecture and natural scenery, this country has plenty of must-visit stops. 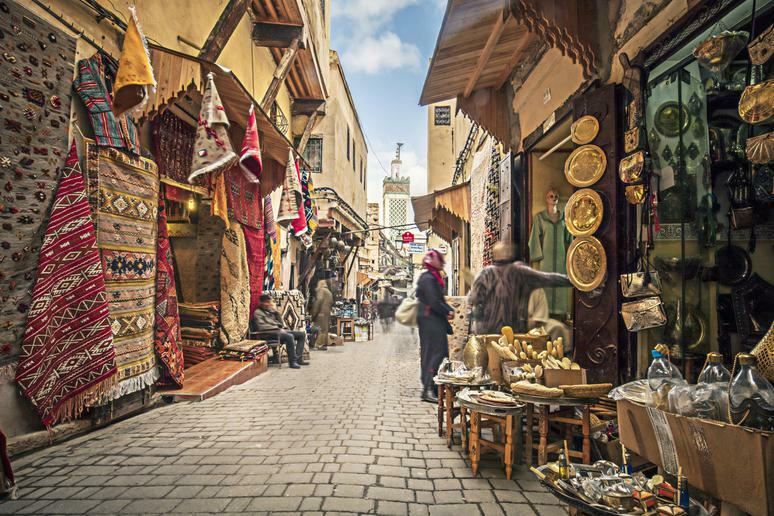 The city of Marrakesh is full of palaces and street markets to explore, and its home to the newly opened Yves Saint Laurent Museum where fashion lovers can visit the famous designer’s Marrakesh studio and home. Less than a mile from there lie the Atlas Mountains, perfect for hiking and taking on Kasbah Toubkal, the country’s highest peak. Visit Tétouan, known for its carpets and World Heritage Site medina and the site of a burgeoning modern Moroccan art movement, or Essaouira, a resort town with great beaches for windsurfing and kitesurfing, as well as a colorful and busy medina. 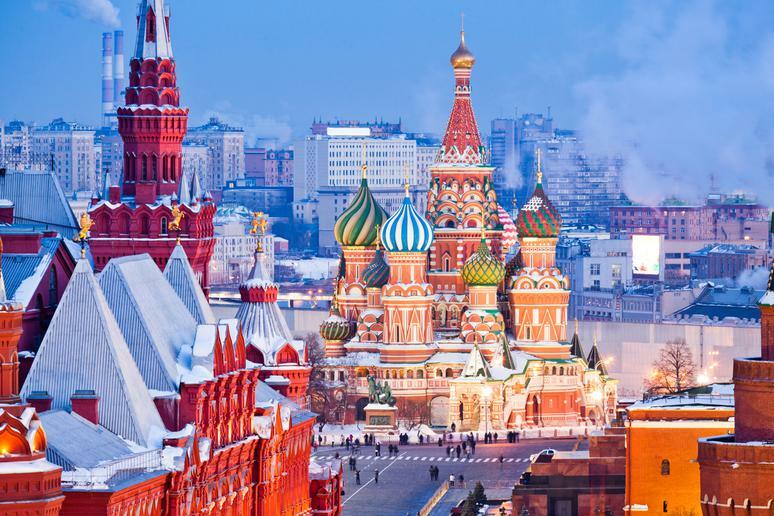 Nearly nine centuries of interesting and eventful history has left Moscow one of the world’s leading global cities with breathtaking architecture and a rich, diverse culture. Check out the city’s opulent theaters or take a dip at a Russian bathhouse, or banya. The city is filled with beautiful gardens and parks, and its culinary scene is a world of its own, with ethnic cuisines available from all over the former Soviet Union and other surrounding Asian countries. 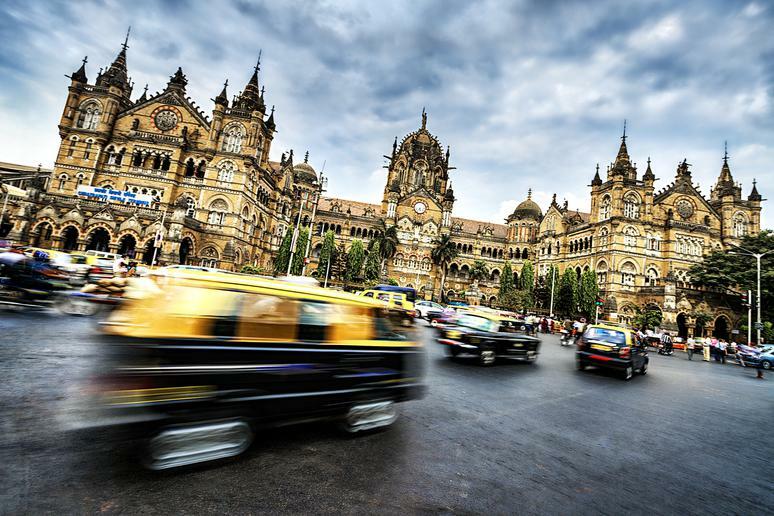 Mumbai is one of the fastest-growing tourist spots in the world, and for good reason. Also known by its earlier colonial name, Bombay, it’s India’s largest city and a melting pot of the nation’s many cultures. You’ll find all kinds of restaurants here to represent those cultures, serving many different dishes from around the subcontinent as well as around the world, along with religious sites important to all of India’s religious minorities as well as the majority Hindu population. Catch a movie or even watch one being shot in the hometown of Bollywood — or enjoy one of the many theatrical performances around the city. A mix of black, Caribbean, Creole, French, German, Haitian, Vietnamese, and many other cultures comes together in New Orleans, Louisiana. The Big Easy is a great weekend destination, but the longer the trip, the better. Festivals throughout the year draw in millions, such as the Creole Tomato Festival, the French Quarter Festival, Satchmo Summer Fest, Southern Decadence, and the world-famous Mardi Gras and Jazz Fest. 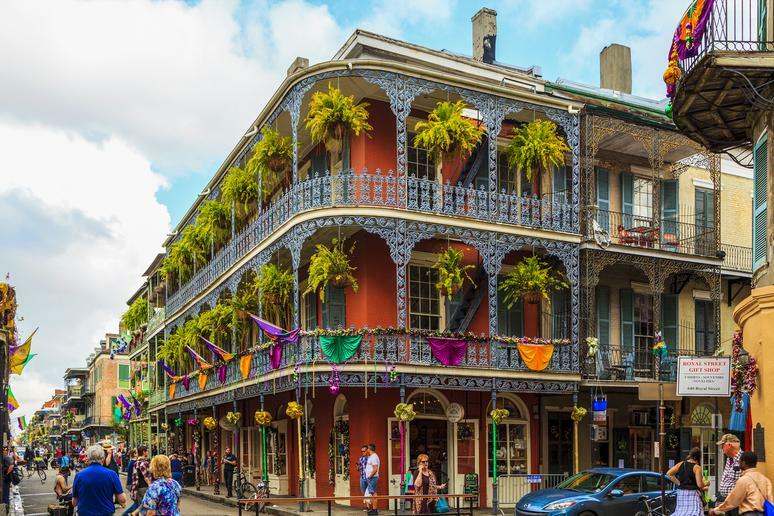 New Orleans has as much history as it does party, and visitors would be remiss to neglect the historic colonial architecture of areas such as the French Quarter or Uptown, historic cemeteries, St. Louis Cathedral, and the National World War II Museum. Experience the occult and voodoo at the Tomb of Voodoo Queen Marie Laveau or attend a Gnostic Mass and classes on magick at the Alombrados Oasis. New Zealand is a destination that provides both a gorgeous landscape and a rich cultural experience. Here you’ll find diversity both geographically and culturally, with natural attractions from glaciers and fjords to glowing caves and geothermal lakes. Summer in the Northern Hemisphere, of course, means winter in the Southern Hemisphere, and New Zealand is a fantastic destination for winter sports — plus the lengthy flight is much cheaper in the off-season. 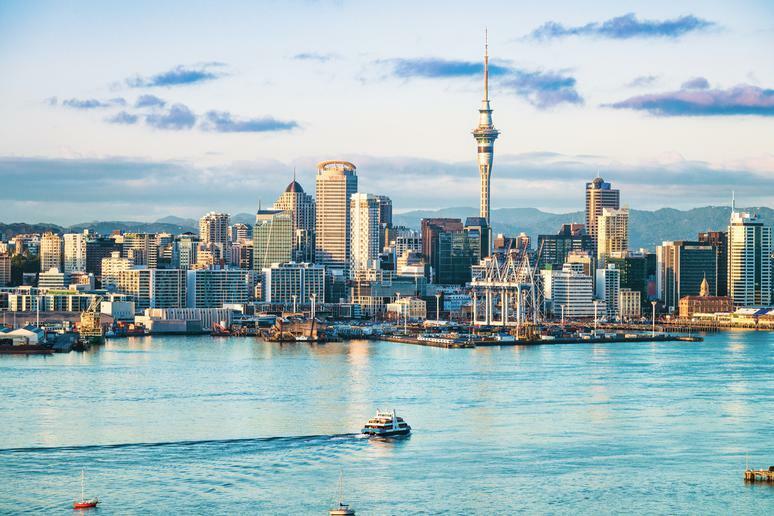 Visit Auckland for some casual sophistication and Queenstown for a truly exciting destination full of extreme sports, and make sure you experience some of the country’s indigenous Maori culture too. Known for its party culture and world-renowned beaches, Rio de Janeiro is a nonstop celebration. 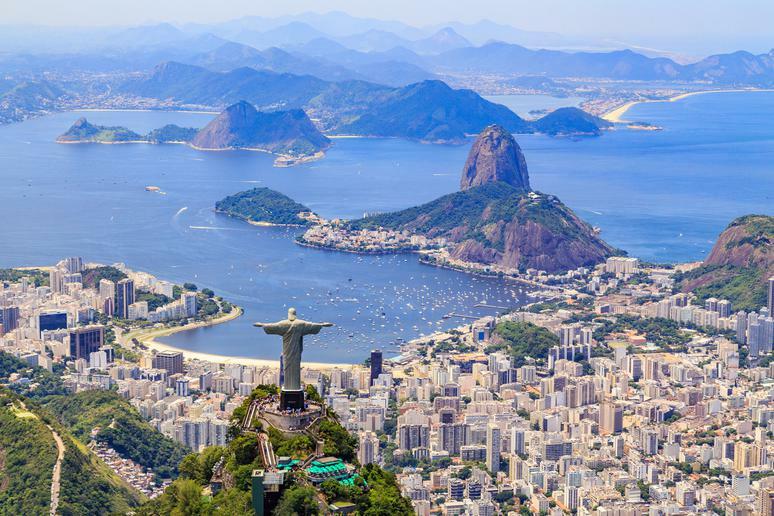 Catch a game at Maracanã Stadium, once the world’s largest (and still currently South America’s), and take on the nightlife for some great samba. Visit in late winter, usually February, to take part in the phenomenon that is Rio’s Carnaval, probably the world’s most famous of its kind. The capital of Italy should definitely be on your travel bucket list, if not right at the top. Home of the Colosseum, Trevi Fountain, and Pantheon, it’s just asking to be on your Instagram feed. 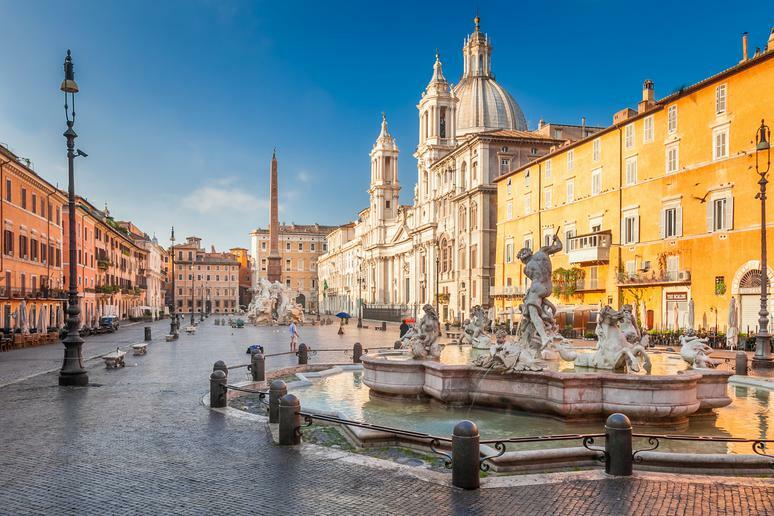 Make sure you get a taste of the local gelato (outside of the main tourist spots, so you don’t get overcharged) and a slice of thin-crusted Roman pizza before you leave. Rome also holds Vatican City within its borders, where you can find St. Peter’s Basilica and some of the greatest art in the Vatican Museums. The capital of New Mexico is the oldest and — at an elevation of 7,000 feet — highest state capital in the country, as well as possibly the trendiest. The beauty of the city comes not only from the natural scenery but also the native-influenced architecture, Southwestern culture, and mouthwatering cuisine. Festivals celebrating religious holidays, arts and crafts, wine, music, film, and more occur throughout the year, and with the city situated between both mountains and desert, there are also plenty of more active adventures. 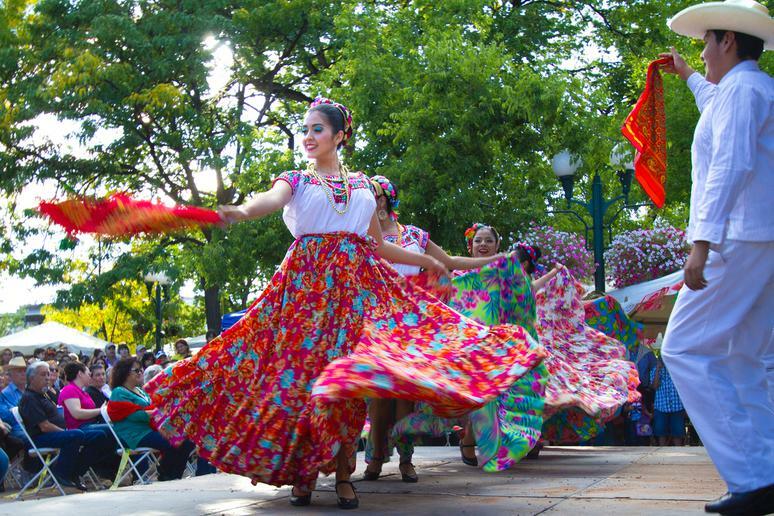 It’s not hard to see why Santa Fe is known as the City Different, particularly when you take a look at its amazing Southwestern cuisine, a mix of Mexican, Hispano Spanish, French, Mediterranean, and Portuguese flavors, as well as its diverse population. 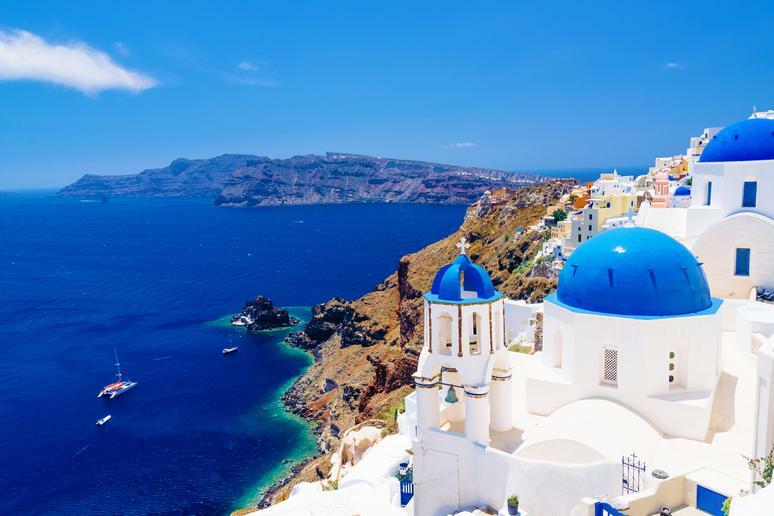 Repeatedly ranked the world’s top island by multiple travel publications over the years, the Greek island of Santorini welcomes approximately two million tourists visit every year. Its fame as a breathtakingly romantic getaway is largely thanks to Oia, a town with gorgeous sunsets that are only more stunning when serving as a backdrop for the white buildings and blue domes perched on its seaside cliffs. Lava from the island’s volcanoes makes up the sands of its renowned beaches, many of which are varying colors, such as the Black Beach, Red Beach, and White Beach. Seoul is a city full of cutting-edge technology, Korean pop culture, centuries-old traditions, and impressive skyscrapers as well as temples and palaces. 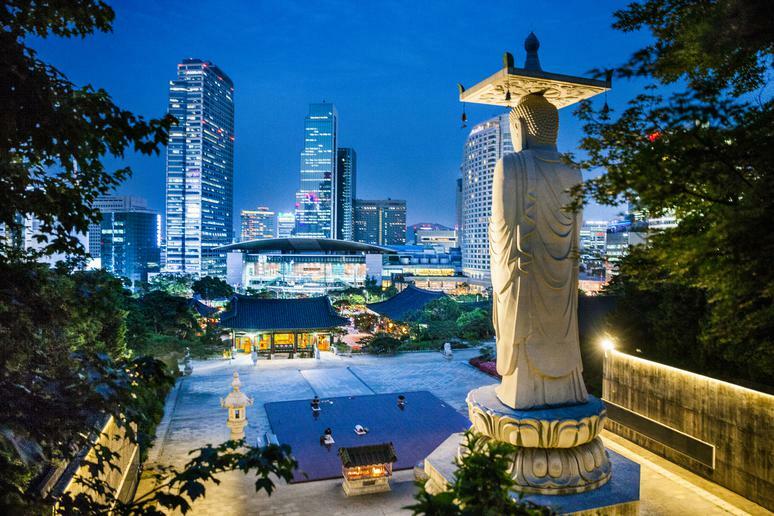 Check out one of Seoul’s amusement parks or arts centers, and take a load off at a sauna or spa. Seoul also has plenty of culinary schools just for tourists, so you can learn how to make Seoul specialties such as tteokbokki (rice cakes in a spicy sauce) or pajeon (a type of Korean pancake made with scallions). The city-state of Singapore is a leading East Asian destination and the second most densely populated country in the world with 5.6 million people packed into only 300 square miles of land. A lot of those people are workers and expats from around the globe, which makes for an impressive culture and cuisine, with influences from the Chinese, Malay, and Indian communities that have thrived here. 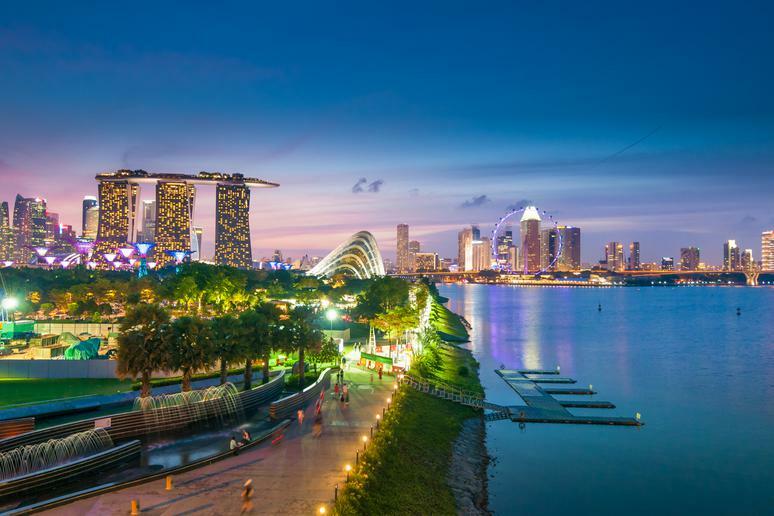 It’s also one of the safest countries on the planet, although that doesn’t make it boring; Singapore has some of the best food, shopping, and nightlife along with many beaches and tourist resorts. 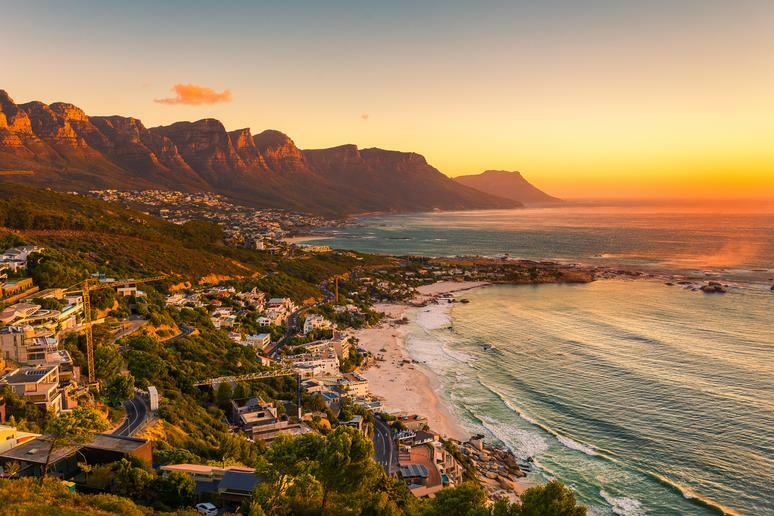 South Africa offers everything from safaris to cosmopolitan city life to beaches to historical sites. Enjoy iconic street food like bunny chow, hit world-class beaches like Camps Bay Beach, and stay in affluent hotels in the Western Cape. Hotel rates aren’t bad at all, particularly in the summer when it’s wintertime here, and safaris and tours won’t drain your wallet either. 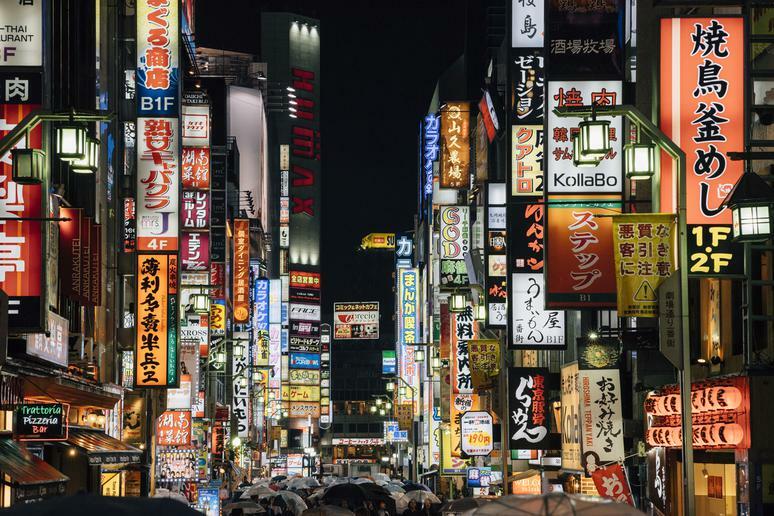 The Japanese capital boasts a population of over 13 million people and 23 separate wards, each with its own distinct personality, so a single visit here will barely scratch the surface of what this great city has to offer. Don’t leave without trying the best sushi in the world or exploring Tokyo’s shops full of funky fashions, anime paraphernalia, the latest electronics, and snacks in literally every flavor you can imagine (and some you can’t). In addition to the city’s many quirky attractions, Tokyo also offers the best of traditional Japanese culture — the city is full of Shinto shrines, Buddhist temples, and opportunities to participate in or observe tea ceremonies, martial arts, or calligraphy lessons. There’s simply no city in the world that’s anything like Tokyo.